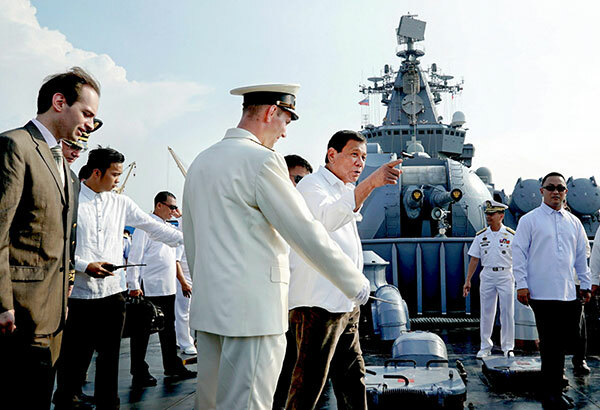 MANILA, June 27 (PNA) -- The strong commitment of President Rodrigo Roa Duterte to promote inclusive economic growth in the country is yielding positive results, a Cabinet official said on Tuesday. Speaking before members of the media during a press briefing at Malacañan Palace, Trade Secretary Ramon Lopez enumerated some of his agency's achievements as part of the pre-State of the Nation Address (SONA) briefings, spearheaded by Presidential Spokesperson Ernesto Abella. Highlighting several milestones in the first year of the Duterte administration, Lopez cited that the number of business companies and organizations coming into the country rose by five percent to 273 from 261 during the period of July to December of 2016. “Notable delegations came from Canada, China, Japan, and even Russia,” he said, adding that the business delegations are in the areas of ship building, food processing, banking, and manufacturing. In terms of investments, the Cabinet official said the Board of Investments recorded a 25 percent jump in the number of investments from January to May this year, compared to the same period in 2016. At the same time, Foreign Direct Investments also grew by 11 percent to PHP 1 billion in the first two months of 2017. “We’ve gotten the number that business confidence continues to remain very high. We are hitting the number of 43 percent coming from what used to be 34 to 39 percent in previous period,” Lopez said. He said the consumer confidence index, which used to be a negative number some years back, has reached 9.7 percent. Lopez also underscored the productive state visits of President Duterte, which resulted in the establishment of goodwill with different leaders and agreements in food security, trade and industry, tourism, agriculture, and business-to-business, among others. For micro, small, medium enterprises (MSMEs), Lopez noted that his agency had established 271 Negosyo Centers from July last year to June 2017. He said the agency had conducted 64 Kapatid Mentor ME programs, or its program of training and mentoring of MSMEs nationwide. “So that’s the main thrust of the Duterte administration, it’s how can we elevate the life of many of those at the bottom of the pyramid and how can we really make prosperity and give prosperity for all. So, that’s the reason why in many of the activities, we’ve been promoting investments as well,” he said. Lopez assured the public that the ongoing conflict in Marawi city does not have an adverse impact on the economic activity. “But we’re pleasantly surprised that... On the business, hindi po tayo affected because ‘yung sa mga negosyante, they really look into the longer term potential of a country and the fundamentals,” he said. “So very bullish ang mga investors locating here. Not to mention the market access if they locate here, the ASEAN, and even our GSP and GSP Plus in US and EU,” he added. During the same press briefing, Presidential Spokesperson Abella reported that the Bangko Sentral ng Pilipinas and Indonesia’s Financial Services Authority signed a Letter of Intent on June 4, allowing qualified domestic banks in the Philippines to freely do business in Indonesia, and vice versa. Meanwhile, the Palace official was firm in reiterating the government’s stand not to heed the Maute group's demand for a negotiation. "Government’s policy not to negotiate with terrorists remains,” he said. Abella also assured that President Duterte is on top of the situation and is aware of what’s happening despite being out of the public eye.